At last we have our very own Indian martial arts action hero and he is none other than Tiger Shroff, the son of veteran actor Jackie Shroff. The stunts he can pull, the chops he can hit, the punches he can throw and the flying kicks he can showcase would leave all the martial arts experts from the far east nations flummoxed. And with the martial art form from the south Indian state of Kerala known as Kalaripayattu, we have our own Indian martial arts form- something that has existed for centuries but Bollywood has discovered oh-so-late! And when the two (Tiger Shroff and Kalaripayattu) are mixed what we get is- super action!! Action that would leave all other action heroes from Bollywood far behind. And Tiger Shroff has an amazing body too; every inch is sinew and muscle. The only thing he lacks as yet is the fire in his eyes and anger in his soul, which was the hallmark of the acting of the ultimate martial arts icon Bruce Lee. Once he manages to get that, we could have our very own action superstar. 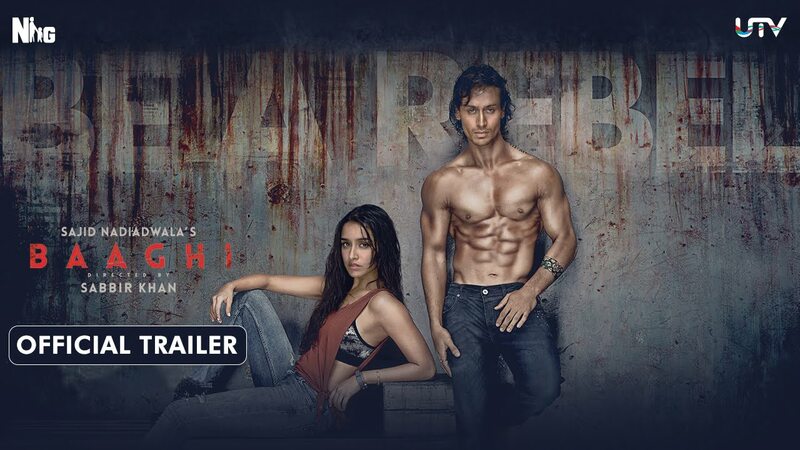 And an action star who can romance too- as Tiger does with Shraddha Kapoor. He is the rebel without a cause, sent by his dying father to his friend in Kerala. The friend is called as Guruswamy and is played by Grandmaster Shifuji Shaurya Bharadwaj. On the way in the picturesque journey to God’s own country he falls in love with Shraddha and she with him. But her father has betrothed her to Sudheer Babu, who is Guruswamy’s son and thus a future clash is in the wings. But as if to prepare Tiger for the clash, Guruswamy, who runs a martial arts school teaching Kalaripayattu trains him personally in the art of physical combat and the training for it is really really raw. Once the training is complete, Tiger is a literal fighting machine and can hit and beat anybody except maybe Sudheer Babu, Guruswamy’s own son. And the two have to come to blows over Shraddha, for she is that good- sweet, delicate and luscious. So good that I dreamt of being the third party in the clash for Shraddha!! Maybe I could get her for myself. But before the two come to blows, Sudheer Babu has to contend with the opposition to his marriage with Shraddha of his own father Guruswamy, who does not want him to force himself on a woman. So how does he deal with his own father? And what is the outcome of the clash between the two contenders for the girl? Watch the movie for the answers. The movie moves from Kerala to Bangkok with glimpses of romance in the virtual sea of action. Whenever the two lovers meet there is rain and whenever there is rain it is a signal that the two lovers are going to meet!! Which gives us a relief from the non stop action. Sunil Grover acts as Shraddha’s father and he gives us dose of some really well acted comedy in between. Acting wise the movie cannot be called great. But who cares! Sudheer Babu and his various sidekicks (all killers) are mean, Tiger is tough, Shraddha is beautiful and Kerala is even more beautiful!! Music and songs are only decent not great and photography is okay .